Aric Almirola started Stage 1 in the 12thposition at Texas Motor Speedway and ended it in the 11thspot. 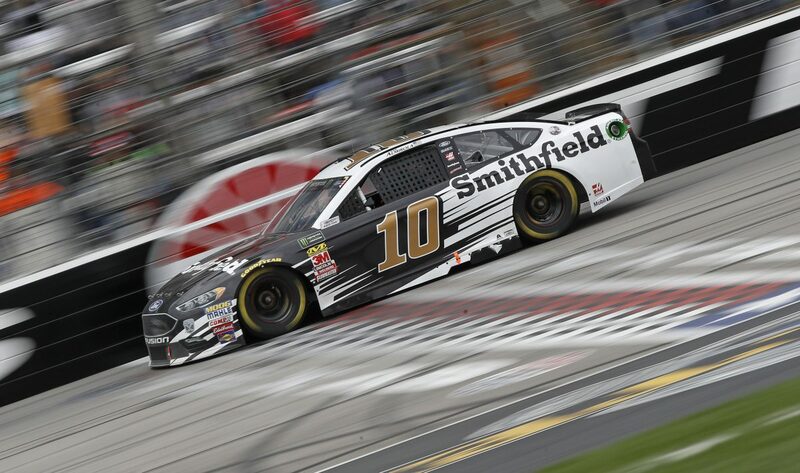 After an early caution in the stage, Almirola and the four-car Stewart Haas Racing contingent ran in the top-10 until lap 30. On lap 44, Almirola made a scheduled green-flag pit stop from the 11thposition for fuel, four tires and wedge. After pit stops cycled through, he continued to run in the top-11. Almirola reported he was loose in traffic on lap 75 and ultimately finished the first stage in 11th. Before the start of Stage 2, Almirola visited pit road for four tires, fuel and adjustments, and started the second stage in the 11thposition. The 34-year-old completed the stage in the 10thspot. In Stage 2, the Tampa, Florida, native reported he needed more front turn. Crew chief Johnny Klausmeier continued to make adjustments to help the No. 10 Ford Fusion’s handling. The third caution of the race came out on lap 127, and Almirola visited pit road for more adjustments before completing the stage in the 10thposition and earning one bonus point. During the caution period for the final stage break, Almirola radioed to the Smithfield crew that his car was better but that he still needed more front turn. After a fast pit stop to help with the No. 10 Ford’s handling, Almirola started to the final stage in the eighth position before his day ended prematurely due to a seven-car accident on lap 178. Almirola had finished among the top-14 in all previous races this season. Until the accident on lap 178, Almirola maintained a top-15 running position all day. Almirola finished 10thin Stage 2 to earn a single bonus point. Kyle Busch won the O’Reilly Auto Parts 500 to score his 44thcareer Cup Series victory, his first of the season and his third at Texas. His margin of victory over second-place Harvick was .300 of a second.